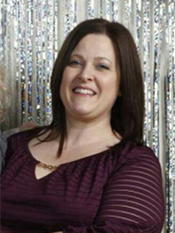 Crystal Boser is from Glendale, WI, and the proud mother of two amazing young men. 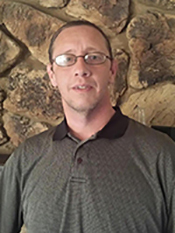 Kyle currently resides at Anthony Home, a residential group home managed by Prader-Willi Homes of Oconomowoc while Kameron resides at home and attends the local high school. 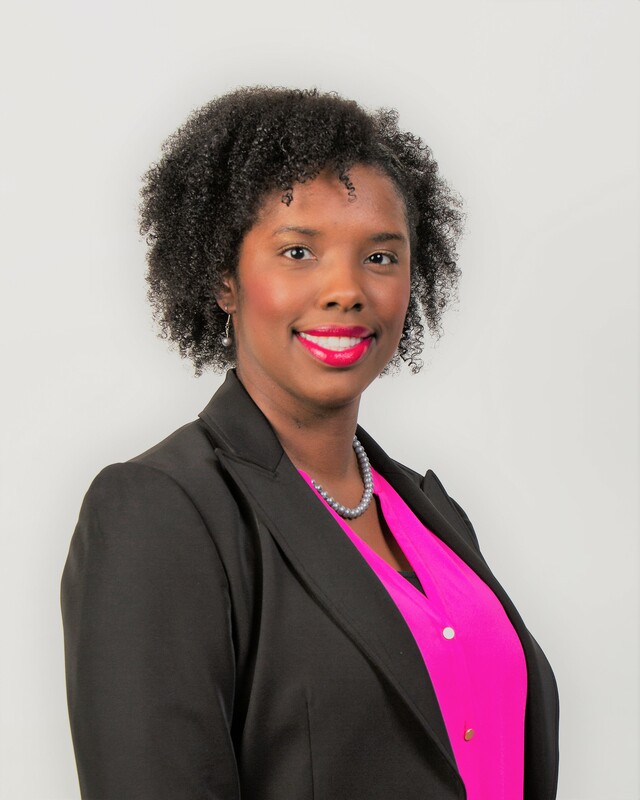 Crystal earned her Masters in Business Administration with a concentration in Healthcare Management and her Bachelors Degree in Business Management from the University of Phoenix. 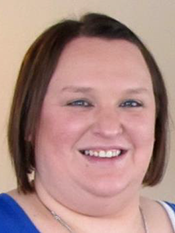 Currently, Crystal is the Office Manager at the Midwest’s leading functional medical clinic and is responsible for managing the day-to-day operations of the clinic. Previously, she was the Director of Operations at an independently owned pediatric office where she oversaw the clinic’s daily operations. 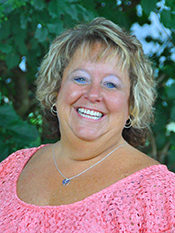 Crystal has been involved with PWSA-WI, Inc. for over 15 years and served in numerous roles, including her current role as President, which she has held for over 10 years. 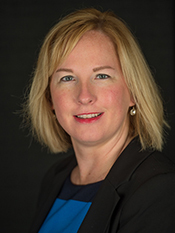 In addition to her role with PWSA-WI, Inc., Crystal also serves as a board member for PWSA (USA) and is the PWSA (USA) Chapter Relations Chairperson. She is also heavily involved in the National PWSA Convention hosting the Chapter Leaders Meeting and Co-Chairing the Youth and Adult Program (YAP). When Crystal is not working or volunteering within the PWS community, she can be found mentoring Kameron’s Robotics team or visiting friends and family in Indiana. 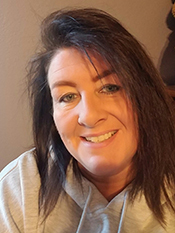 Crystal is thankful for the time she has spent on the PWSA-WI, Inc. board and is looking forward to continuing to help PWSA-WI, Inc. make a positive impact on the lives of individuals with PWS and their families. My Name is Kim. I hold a Master’s in Human Services with a specialization in Multidisciplinary Human Services. I also hold a Bachelor’s Degree in Psychology and Sociology, and I am a Certified Social Worker. I have worked in a residential care setting since 1990, working with a wide variety of client populations, including children and adults diagnosed with Prader-Willi Syndrome, and with intensive treatment needs. 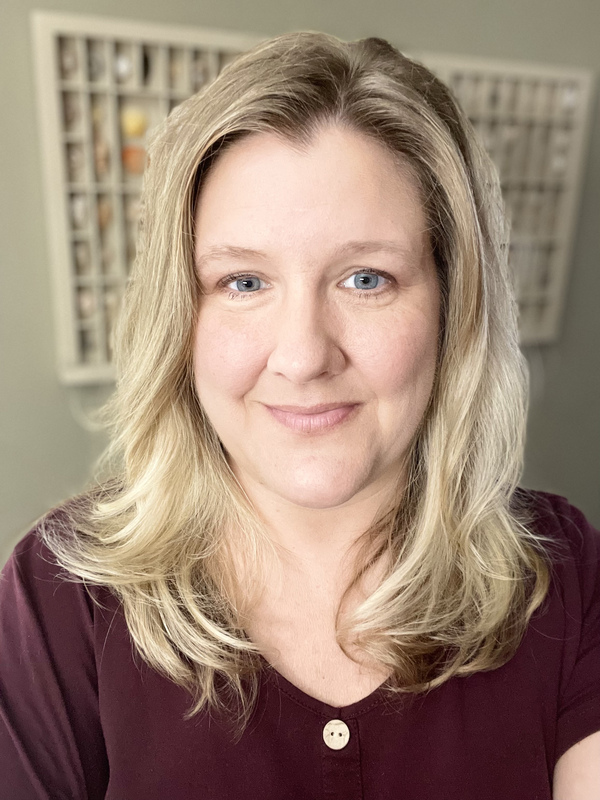 I have held positions as a Direct Care Staff, Behavior Specialist, Clinical Specialist, Clinical Coordinator, and I am currently the Behavior Services Coordinator for Prader-Willi Homes of Oconomowoc (PWHO). I have also been involved in the Youth and Adult Program (YAP), at the National PWSA conference, as a Behavior Specialist since 2011. In 2015, I was tasked with organizing YAP in addition to working as a Behavior Specialist. I am currently planning and organizing YAP for the 2019 National Convention. I love working with individuals with PWS, helping improve their lives, and watching them grow. In my free time, I enjoy spending time with my husband and daughter, horseback riding, and gardening. I am a mom of three children ages 16, 7, and 4. My son who is my youngest was diagnosed with Prader-Willi Syndrome at three weeks old. Once I reached out to PWSA of WI and attended my first walk for PWS, when my son was just four months old, I knew I wanted to be involved and help wherever I was needed. Since my son was born I have met and have been helped and supported by so many people and I hope to do the same in the PWS community. I am a parent of an 11-year-old boy who has PWS. I became an advocate for my son and a strong supporter of children with disabilities the day he was born. Throughout, the years I have learned that the road is not always evenly paved and can be very challenging at times. However, I am determined to do my best to assist those with disabilities. I am passionate about health and fitness, caring for others, and ensuring that we work together to grow and thrive as a community. Currently, I serve on the Board of Directors, as the Vice President, at Highland Community School (HCS) in Milwaukee. I have served on the HCS board for the past 5 years. I also aide the local community as a Milwaukee Public Schools Special Education Liaison Family(SELF) representative. As a SELF representative, I am responsible for providing support and guidance for families who need direction regarding their child's special education needs. Additionally, over the past 4 years I have participated, as board member, with US Bank's Employee Development Network (DN). As part of the DN, we work to increase employee engagement and volunteerism, through personal and professional development activities. I frequently attend the PWS of WI educational events, as I truly believe that knowledge is power. I work determinedly to consistently equip myself with new information, so that I can better support for the community. I am hopeful that my experience and desire for success will make me a great fit for the PWSA of WI board. My name is Bobbi Pogrant and I live in De Pere, WI with husband John and 12 year old daughter, Addy. I worked in the printing industry for almost 18 years. I have served on the board of directors for PWSA-WI since 2012, and have volunteered at various events held by PWSA of WI, and coordinates the marketing aspect of the organization. In my free time, I enjoy art, photography, volunteering and at my daughter's school and with the Miracle League organization, and spending time with my family. As a parent of a middle-school aged child with PWS, I hope to bring a perspective that can relate to others with children as a Board Member. Although raising a child with PWS has its challenges, I believe it has made me a better parent in more ways than I ever imagined. I enjoy problem solving and thinking outside-the-box when other solutions are not working. It's an honor to be a part of and contribute to PWSA-WI. 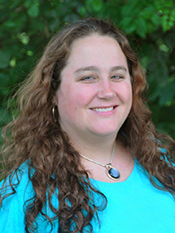 Melanie is the Admissions Coordinator at Prader-Willi Homes of Oconomowoc (PWHO). She has been working with individuals diagnosed with PWS since 2002 and helping out as a volunteer for PWSA-WI since 2005. Melanie has helped plan the annual golf outings, is on the Walk-a-Thon and Winter Social committee, and handles all of the PWSA-WI financials as their Volunteer Accountant. Melanie is passionate about helping others and takes great honor in having the opportunity to support families from around the country with the day to day challenges they face with PWS. She is also a trainer at PWHO and enjoys teaching and motivating others. In her spare time, she enjoys spending time with family and friends. She is a volunteer for Habitat for Humanity of Waukesha County, and a proud member of her church. My name is Jamie Milaeger. I have my degree in Psychology and Social Work through the University of Wisconsin Whitewater. While in school my mentor/professor suggested that after my graduation I seek employment through a company in Oconomowoc that specialized in working with adults with Prader-Willi Syndrome. I was looking to work with individuals with disabilities as I had worked with children diagnosed with Autism throughout my schooling. So in 2006 I took his advice and applied with Prader-Willi Homes of Oconomowoc. Although, I knew about PWS through my education I learned quickly that I had not learned enough. I started as a residential counselor and in less than a year was promoted to manager. I worked at PWHO for 8.5 years and during that time I found a passion to enrich the lives of those I worked with. I think that was because they enriched my life more than I thought could happen. Though in September 2014, I left PWHO; my time there was and always will be some of the most blessed moments in my life. I couldn't leave it all behind though and am currently the PWHO Special Olympic Coach for Aquatics which is an amazing opportunity that I truly enjoy. During my time with PWHO I was very well educated in the support and treatment for adults with PWS. I learned through running one of the group homes about the everyday struggles of people living with PWS; and the supports needed to get through those everyday struggles. I also had the firsthand experience in seeing the amazing changes and outreach an organization like PWSA provides to individuals with PWS. I participated in many Hobby Days, Walks and other events planned to support PWSA and the fight to provide awareness, education, support and research. I have also had the honor and privilege to travel to several conferences to participate in as well as support the Young Adult Programs which allowed families the opportunity to attend knowing that their child, sister, brother, or grandchild was in a safe, fun, and encouraging environment with people who understood and had experience working with individuals living with PWS. I found that passion over 8.5 years ago to support individuals with PWS as well as their families and now as a Board Member I am happy to be able to do so in another way. Ms. Parrish lives in Verona, WI and is the mother of a 25 year old daughter. As the Corporate Secretary for First Business Financial Services, Inc. (FBIZ) she is responsible for overseeing the Company’s corporate governance framework, ensuring compliance with stock exchange listing standards and SEC reporting and compliance, implementing decisions made by the board of directors and overseeing shareholder relations. Prior to joining FBIZ, Ms. Parrish worked at CUNA Mutual Group in the Governance, Risk and Assurance department; as a branch manager at both State Bank of Cross Plains and Park Bank; Executive Director of the Cross Plains Business Association and, as a Research Coordinator for the Dean Foundation for Health Research and Education. Ms. Parrish is active in the community as a volunteer for Susan G. Komen Wisconsin and United Way of Dane County Women’s Leadership. Ms. Parrish is a member of the Society for Corporate Governance and the National Association of Corporate Directors. Ms. Parrish is interested in serving on the Board of PWSA of WI because of Sarah Hughes. Ms. Parrish met Sarah through her sister, Carolyn Jahnke, and looks forward to the opportunity to use her unique experiences in corporate governance, fundraising, and community involvement to give back to the Association that has done so much for Sarah Hughes and her family. I live in Waukesha with my wife Amber and three kids Makenzie, Myka, and Greysen (PWS). I have worked as a Tool Designer in the automotive industry for the last 20+ years. I enjoy camping with my family and attending the many sporting events my kids are involved in. As a parent of a child with a relatively new diagnosis, I try to bring a new perspective to the board, not only to other families with newly diagnosed children, but to the entire PWSA of WI community. It is a privilege to help raise awareness and provide support through this great organization. 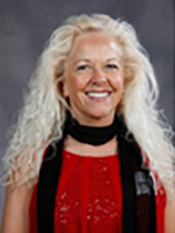 Ms. Jahnke is from Verona, WI, mother of four beautiful children (3 boys and a girl) and the proud sister of Sarah Hughes, a resident at the Prader-Willi Homes of Oconomowoc. 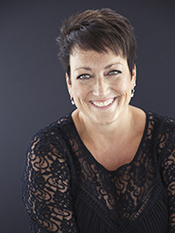 She earned her Juris Doctorate from the University of WI and her Bachelors Degree in Business Administration and Management and Political Science from Edgewood College. Currently, she is the Manager of Board Governance at CUNA Mutual Group responsible for managing the corporate governance activities of over 30 companies, including its nonprofit foundation. 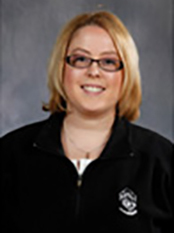 Prior to joining CUNA Mutual Group, Ms. Jahnke worked with Northern Suburban Special Recreation Association (NSSRA) Board of Directors. NSSRA provides and facilitates year-round recreation programs and services for children, teens and adults with disabilities who live in the partner communities (ten park districts, two cities and one village in the northern suburbs of Chicago). Prior to working at NSSRA, Ms. Jahnke worked in the Wisconsin Legislature for various legislators with a focus on public health and health care legislation. During her time in the Legislature, she managed a number of campaigns and raised hundreds of thousands of dollars to fund those campaigns. Ms. Jahnke looks forward to the opportunity to use her unique experiences in law, fundraising, governance and recreation to give back to the Association that has done so much for her sister and family. I worked at Prader-Willi Homes of Oconomowoc from 2009 to 2017. In that time, I’ve done everything from being a 3rd shift staff, a 1:1 direct support staff , a 1st shift medical staff and a Program Manager for one of the group homes, beginning in 2012. I thoroughly enjoyed my time interacting with all of the clients company wide and prided myself on taking the time to get to know and building a solid rapport with as many of the individuals that resided in the company as I possibly could. I tried to help out as often as possible because when they were happy, I was happy. Some of my favorite memories were just doing simple things like taking someone on a personal outing or playing a game because it was during those moments I really felt I could give that person my undivided attention and really listen to them. Those bonding moments were something I will always cherish. I am grandmother to Kyle, a wonderful young man with PWS. I’ve been very involved with Kyle’s care throughout the years. When Kyle experienced difficulties related to having a new baby in the home, he came to live with me for several years prior to his transition into residential care in 2008, at the age of 13. Since the transition, I’ve continued to be actively involved, bringing him home for weekends and holidays, and traveling with him for family vacations. Prior to moving to Wisconsin several years ago, I served as vice-president of the Indiana Chapter, Northern Section. After moving to Wisconsin, I served as co-president of the PWSA of WI chapter from 2003 – 2005. I have served on the Board intermittently since that time. When I have not served as a Board member, I have continued to volunteer at our state chapter events, such as the On The Move, golf and bowling events, and to volunteer and attend most of the social events such as the Snowflake Ball. I consider myself blessed beyond belief to have the relationships I’ve built through the Association and PWS. Professionally, I am a Registered Nurse for the past 30 years. My hobbies are scuba diving, gardening, dancing and reading. I have one daughter (Crystal, current President of the PWSA of WI chapter) and two grandsons, (Kyle and Kameron, current member of the PWSA of WI Junior Advisory Board). Family time, both immediate and extended, are a high priority for me. 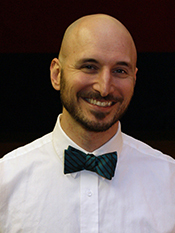 Joshua comes to the organization with a background in teaching. He spent three years as a 4th grade teacher and one as a middle school social studies teacher. The educational experience that had the biggest impact on him though was working as a paraprofessional in a cognitive disabilities classroom. It was there that he discovered a love and calling for working with individuals with disabilities. 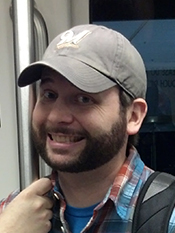 Joshua hopes to bring a fresh set of eyes and ideas to the organization to keep pushing PWSA of WI toward its goals. In his spare time Josh also works at a youth center, is a coach, participates in numerous athletic activities, plays bass, and enjoys the outdoors.